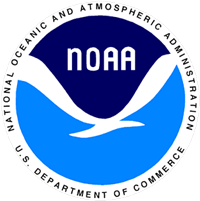 The following information was put together during the May-August 2018 eruption of Kīlauea Volcano. As of the time of writing (29 August 2018) that eruption episode has paused or possibly ceased. There is currently no lava erupting from the fissures in the Lower East Rift Zone, very low seismicity and gas emissions are also at their lowest since 2007. What was happening at Kīlauea Volcano? Fissure eruptions: In early May 2018, new fissure eruptions began on the Lower East Rift Zone of Kīlauea Volcano, in the Puna district, on Hawai‘i Island. The fissures were producing lava flows which were locally destructive, however, the flows and fissures themselves, were not directly affecting any other part of the island or State. This activity greatly reduced on 4 August 2018. Summit activity: At the summit of the volcano, the level of the lava lake within Halema‘uma‘u crater dropped, and the lake disappeared visible. There were multiple earthquakes under the summit and nearby and the crater greatly expanded in width and depth. Intermittent ash emissions and explosions were occurring. This activity ceased on 2 August 2018. How are these eruptions still affecting visitors? Lower East Rift Zone fissure eruption: Emergency officials ask the general public to avoid the area directly involved in this eruption, due to potential road closures, emergency response and evacuation activities, and hazardous gases. Hawai‘i Volcanoes National Park: Two-thirds of Hawai‘i Volcanoes National Park is currently closed due to summit eruptive activity but parts are expected to reopen in September 2018. The Park’s Kahuku Unit is open, and is located one-hour’s drive south of the Park’s main entrance https://www.nps.gov/havo/2018-closure.htm. Be sure to check current air quality conditions before heading to Kahuku. The area is sometimes impacted by volcanic gas, particles, and ashfall. The National Historic Parks in West Hawai‘i are open as usual. SO2 gas and fine particles (PM2.5): from Kīlauea’s fissure and summit eruptions. Also known as ‘vog’. Fine particles are largely responsible for the visible haze observed downwind of the vents. Ash particles: from the summit ash explosions and emissions. Laze: the acidic steam plume generated from lava flowing into the ocean. This plume is laden with hydrochloric acid and volcanic glass particles, but is local to the area around the ocean entry site. Smoke: from vegetation being burned by lava flows. Volcanic glass: generally local to the area around the fissures. How bad is the air quality? The distribution of volcanic pollution and ash on Hawai‘i island is controlled by wind speed and direction. 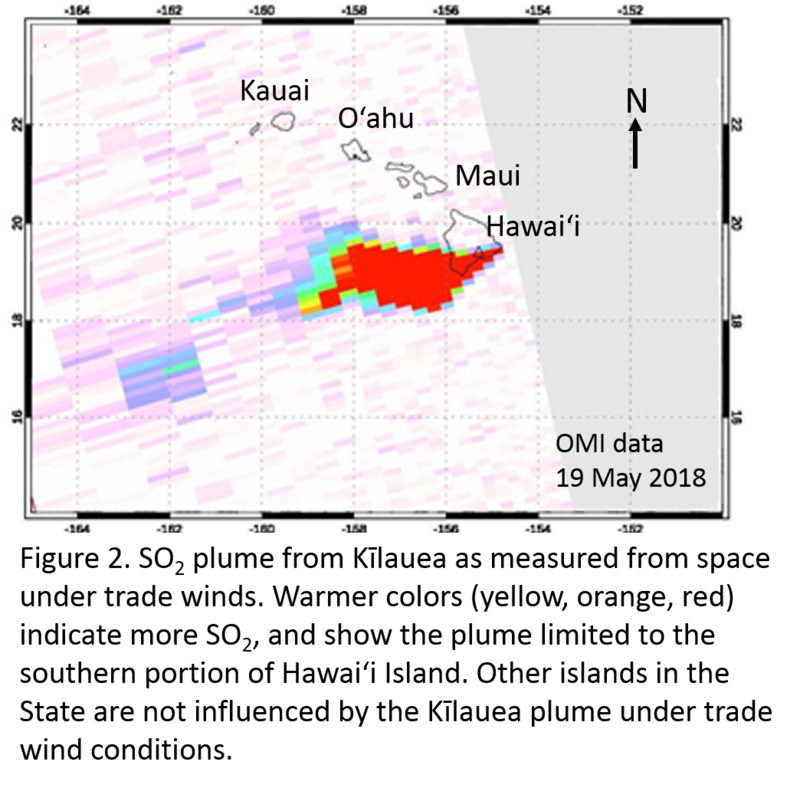 Prevailing northeasterly trade winds blow volcanic emissions to the southwest, where they wrap around the southern part of the island, and are trapped by daytime onshore and nighttime offshore sea breezes along the Kona coast. Air quality north of Kailua-Kona is less frequently impacted by volcanic pollution under these conditions (see figure 2). When trade winds are absent, volcanic pollution may affect East Hawai‘i, the entire island, or State. Particle and SO2 gas concentrations can reach levels that occur from human-caused pollution in large urban areas. However, vog is mainly SO2 and acid particles, whereas urban, industrial, and other pollution contain additional toxic contaminants, such as ozone and hydrocarbons. 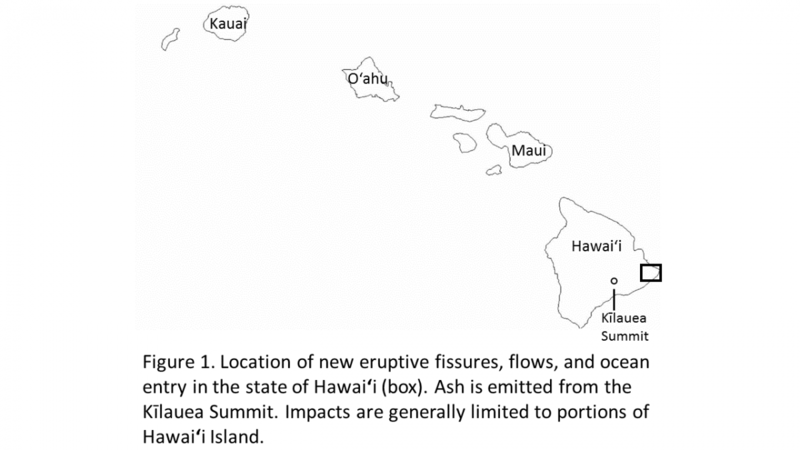 The areas surrounding Kīlauea Volcano’s summit, and directly downwind, are most likely to be heavily impacted by ashfall. However, large events may affect areas much further away. Ash was reported 10s of miles away from the Kīlauea summit during the 1924 explosive eruptions. Other areas on Hawai‘i Island can experience gas and particle concentrations which reach the Hawaii State Department of Health and EPA’s ‘moderate’, ‘unhealthy for sensitive groups’ or ‘unhealthy’ categories, depending on wind conditions. Where can I find air quality data and forecasts so that I can see for myself? What are the health impacts of being exposed to vog? SO2 gas is a strong irritant that can be a concern, especially to those that are particularly ‘sensitive’ like people with pre-existing respiratory disorders (e.g. asthma) or cardiovascular disease. 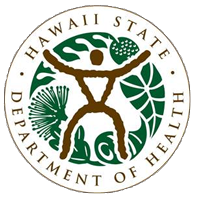 Please see the Interagency Vog Dashboard to learn about the possible health impacts of vog and who is most likely to be affected: https://vog.ivhhn.org/health-effects-vog. Can you tell me if I should come to Hawai‘i? Large portions of Hawai‘i Island, as well as the rest of the State, are generally not impacted by the current eruptive activity. The above information has been written to help you make an informed decision as IVHHN/the Vog Dashboard moderators cannot comment on people’s individual situations. If you have specific health concerns, please discuss the above information with your medical practitioner. The Vog Talk Facebook group provides a venue for community members to share information. Two-thirds of Hawai‘i Volcanoes National Park (HVNP) is currently closed. 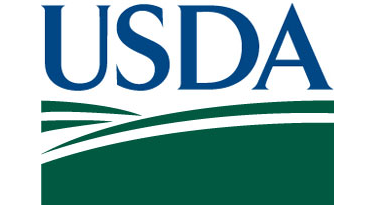 The Park’s Kahuku Unit is open, and is located one-hour’s drive south of the Park’s main entrance https://www.nps.gov/havo/2018-closure.htm. 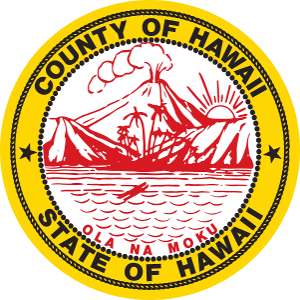 Be sure to check current air quality conditions before heading to Kahuku (see links #1 and #2 below). The area is sometimes impacted by volcanic gas and ashfall. Pay attention to park warnings and follow park advisories: https://www.nps.gov/havo. (Last updated 29 August 2018). Those with pre-existing respiratory conditions should have their medications available when visiting the Park, as air quality can reach unhealthy levels very quickly. Current SO2 levels across the Island of Hawaiʻi. Air Quality Index based on PM2.5 particle real-time monitoring data. and https://www.airnow.gov/index.cfm?action=pubs.aqguidepart for recommended actions at specific particle concentrations (AQI)/advisory levels. Map showing approximate location of the Halemaʻumaʻu and Puʻu ʻŌʻō gas plumes in HVNP, SO2 concentrations (ppm) at nine locations, and PM2.5 at two locations in the park.